Gnocchi belong to the dry whimsical shape pasta family, the Campania region in Southern Italy. Their shape is fashioned after an empty grooved cone. They are usually 32 mm long whereas their thickness is between 1,15 and 1,30 mm. Gnocchi can be served with light tomato or meat sauces; superb also with pesto. Paccheri 500 gr. - Pastificio Cavalieri 4,40 EUR / 8,80 €/kg. Homemade Pasta made durum wheat semolina - Spaghetti 500 gr. 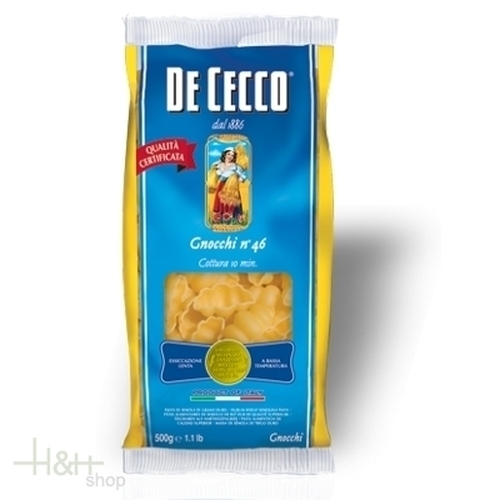 - Pasta Callari 3,45 EUR / 0,69 €/100 gr.